For all of its noble goals, the business of recycling old electronics and mobile phones is fraught with challenges and not very profitable. Retrace, a Seattle startup that spun out of Xinova earlier this fall, believes providing better data to recyclers and other players in the global market for used mobile phones will help. Xinova, formerly known as the Invention Development Fund, rebranded itself this fall as it completed its spin off from Bellevue, WA-based Intellectual Ventures, the patent aggregator and multifaceted invention shop of former Microsoft CTO Nathan Myhrvold. A mashup of the words for new in Chinese and Latin, Xinova is pursuing a new model for uniting research and development with commercialization in industries including IT, agriculture, and manufacturing. It connects its customers—ranging from startups to Fortune 500 companies—to a network of 10,000 experts in more than 30 countries to define and solve problems, and make better products and services. At Retrace, Rubel took a circuitous path to the business of providing phone makers, recyclers, brokers, and mobile carriers with data on flows of second-hand phones from one market to the next. After a career as a Naval officer and nearly eight years working on innovation programs at Michelin, Rubel found himself at an Austin, TX, based e-waste recycler. He helped the company restructure, raise funding, and obtain certification from Sustainable Electronics Recycling International. He thought things were being done the right way, he says. They weren’t. “They were basically taking bad electronic waste, putting it in the back of a shipping container, filling the front end of it with teddy bears and cute little things that no one would ever notice and shipping it off to China and just not telling me about what they were doing,” he says. Several U.S. e-waste handlers were caught shipping e-waste to junkyards in places like Hong Kong and elsewhere in Asia that have weaker protections from the environmental and health impacts of scrapping old computer monitors, printers, and the like. The Seattle-based Basel Action Network (BAN) sniffed out the practice, which ran counter to assurances consumers were given about e-waste recycling, through the e-Trash Transparency Project, revealed last May. After discovering the practice at the Austin company, Rubel resigned. But he still felt drawn to the e-waste recycling business. He founded Second Wave Recycling, which recycles a couple thousand donated phones each month, giving the proceeds to charities. While there, he was invited to review Intellectual Ventures’ portfolio of intellectual property related to recycling. He ended up becoming an entrepreneur in residence at IV and began working on what would become Retrace. Retrace decided to focus specifically on cell phones. BAN says a million cell phones can yield as much as 20,000 pounds of copper, 550 pounds of silver, 50 pounds of gold, and 20 pounds of palladium. Smartphones in particular are often resold to consumers in emerging markets. The biggest value Retrace saw in its marketplace was the data. The company now provides that data and analysis to customers throughout the phone recycling and resale supply chain. ”We’re working on the ability to predict the future as far as what will happen when they launch the iPhone 8, where the best price is, and where the phones are going,” he says. Rubel credits Xinova for incubating Retrace as it sorted out its technology and business model—even though the business Retrace landed on doesn’t use any of the initial intellectual property—and also with honing his skills as an entrepreneur. Before pitching investors, he practiced with the Xinova team members, many of whom have venture or corporate investing experience, and received “oftentimes brutal and honest” feedback. That paid off when he went to pitch his business. Last month, the company announced that WaterStone Capital, an early stage venture firm with offices in Seattle, Beijing, and Shanghai, acquired a controlling stake in Retrace and paired it up with Miao Miao Cloud, a Chinese tech company that was also building a marketplace for mobile phone resales. The combination creates a global marketplace for second-hand phones and expands Retrace’s market for its analytics tools. 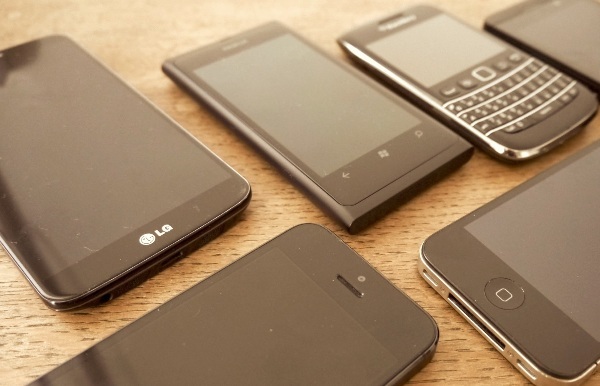 Rubel says that a more efficient marketplace could help increase phone recycling rates. “More consumers will want to recycle their phones because they’ll realize there’s more money in it when the carriers pull it from them,” he says.